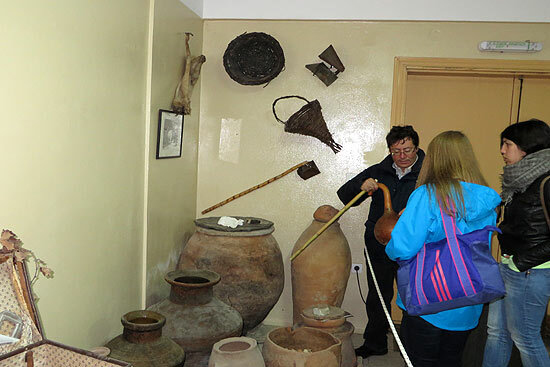 3 Waterfalls Tour - Ryakas, Raksounia, Halaris Canyon + Winery Visit & Lunch. 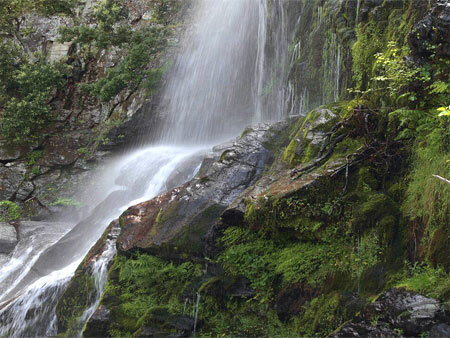 3 Waterfalls Tour - "Ryakas", "Raksounia", "Halaris Canyon" + Winery Visit & Lunch. 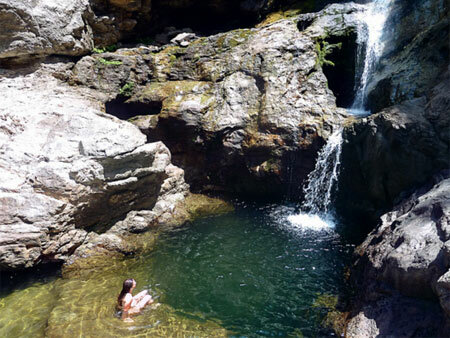 As an island not only is Ikaria surrounded by water, its also blessed with an abundance of fresh water in the form of rivers, streams, lakes, ponds, canyon pools, mountain springs and of course waterfalls! 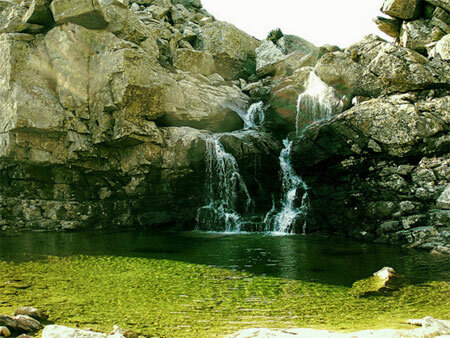 All year round water is flowing on the island but from the spring until early summer is the best season to experience Ikaria's beautiful and exotic water landscapes and waterfalls. 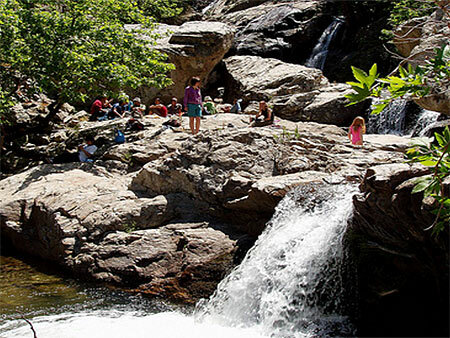 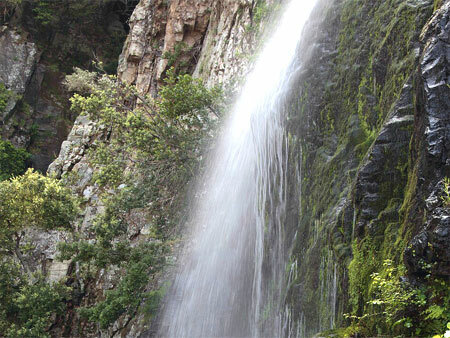 Spend a day exploring three different Ikarian waterfalls and their wonderful natural surroundings. 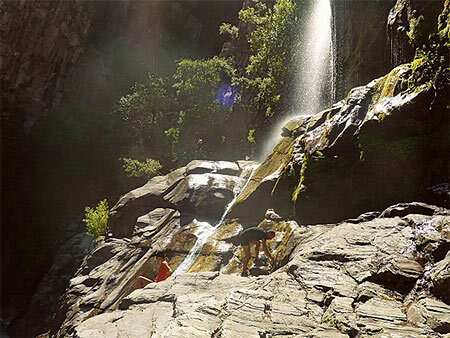 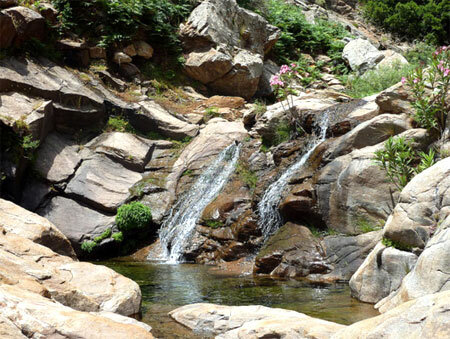 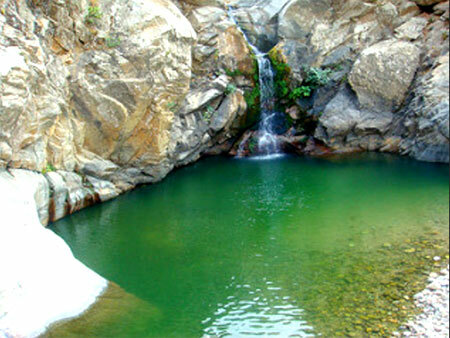 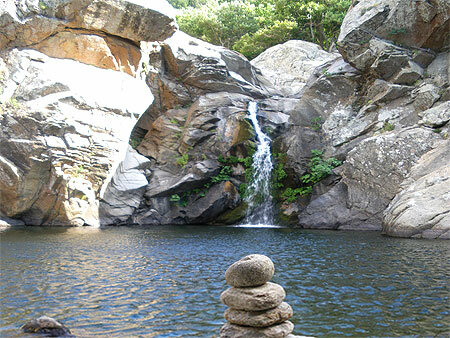 On this guided tour you will visit high mountain, mid-mountain and sea level waterfalls and have the opportunity to take a dip/swim in their cool fresh water pools. 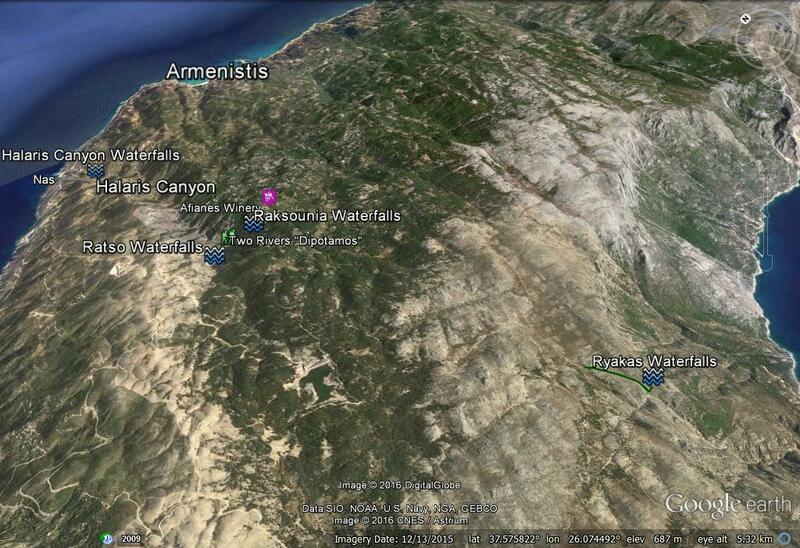 The tour starts in Armenistis where we set off in a 4X4 jeep via interior mountain roads to reach the Pezi region and the Erifi Plateau at an altitude of almost 900m. 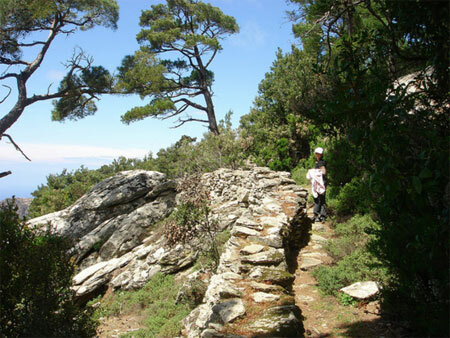 The 30 minute drive will take us through mountain villages, pine forests and ultimately above the tree line into a Martian like landscape and boulder desert. 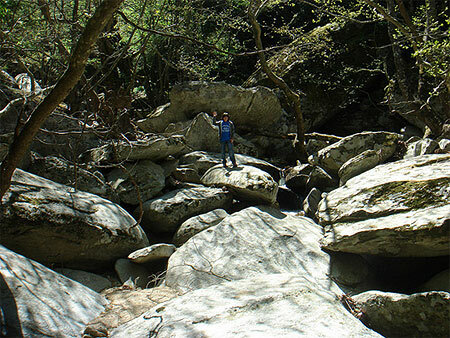 To reach the high mountain Ryakas Waterfall we must walk for about 10 minutes along the flat mountain plateau until we reach the hidden entrance to Ryakas Canyon. 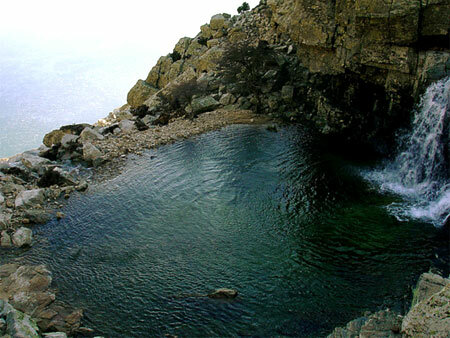 From here the waterfall and its large pool called "Seleni" is visible and a further 5 minute descent into the canyon down a moderate difficulty path brings us to a flat area at its first stage base and the opportunity to dip in the pool if its not too cold. 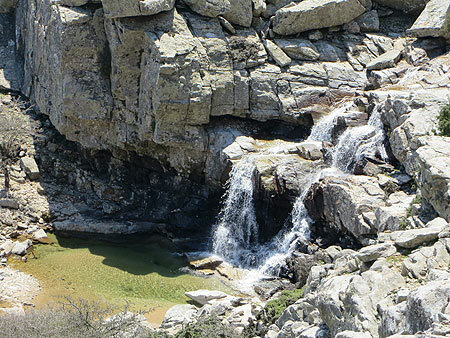 Our 2nd waterfalls is in the Profit Ilias region, on the edge of Ikaria's famous Halaris Canyon at an altitude of around 500m. 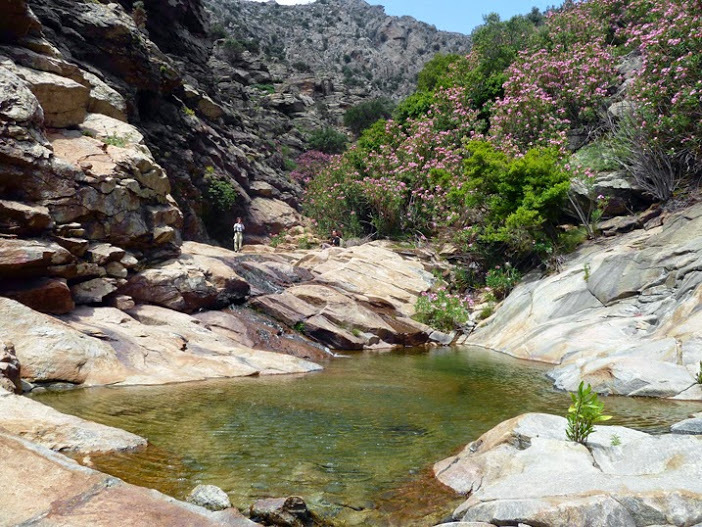 We leave the jeep at the main road and continue on foot via a mountain and forest trail that descends into the river bed and offers stunning views of the canyon below and beyond. 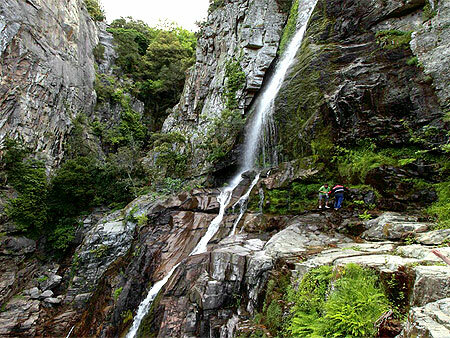 After a 15 minute walk we reach the dramatic edge of the canyon and are viewing the Raksounia Waterfalls above and below us while feeling and seeing the mist and spray falling over 50 meters all along the rock wall and mountain face next to us. 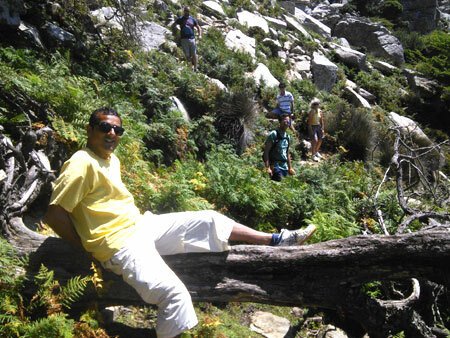 Its an impressive and beautiful scene of nature. 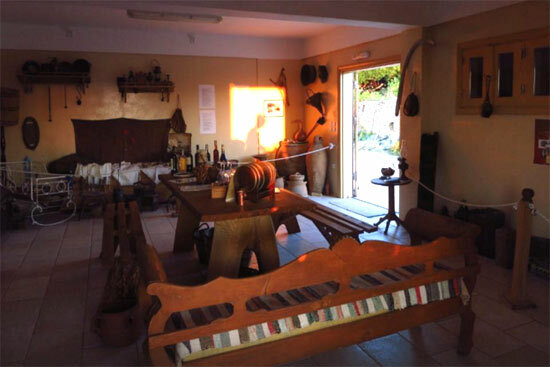 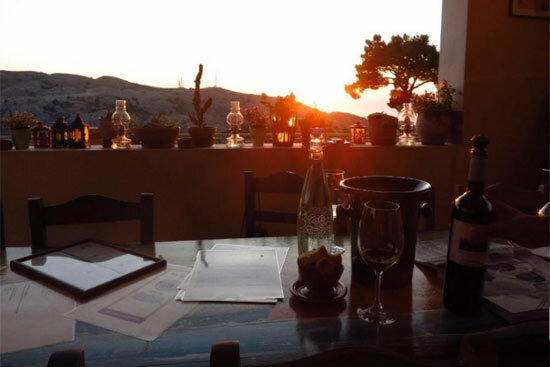 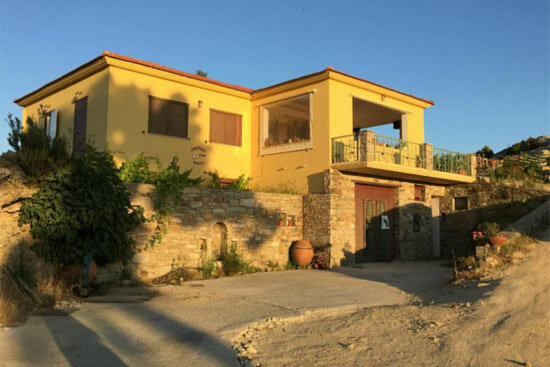 Upon returning to the jeep we will drive a short distance to a local winery to break for lunch and you will have the opportunity to have a tour of the winery, learn about Ikaria's wine making history, visit the winery's small museum and of course taste some of the delicious wines. 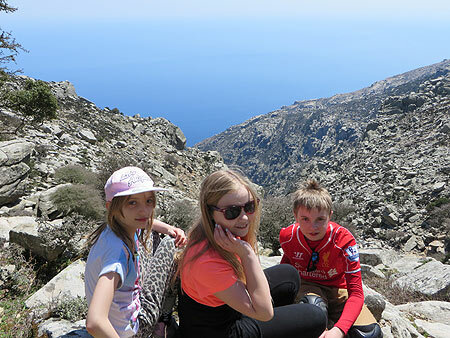 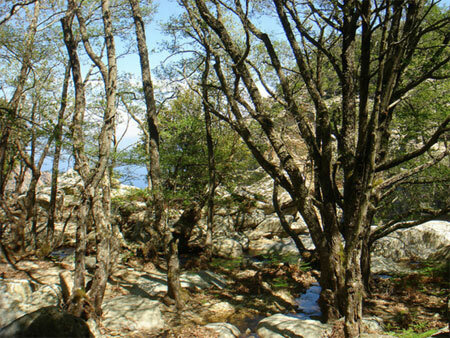 After lunch we drive for 25 minutes down the mountain to reach the access trail of our 3rd waterfalls which is located at the end of the wild and beautiful Halaris Canyon near sea level and where Ikaria's main river, the Halaris, empties into the sea. 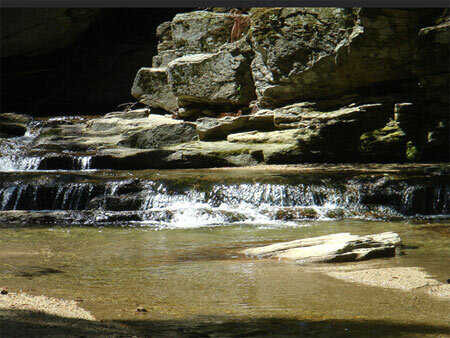 A short 10 minute hike down further into the canyon brings us to the river bed and the large fresh water pool where we can swim into and sit under the waterfall. 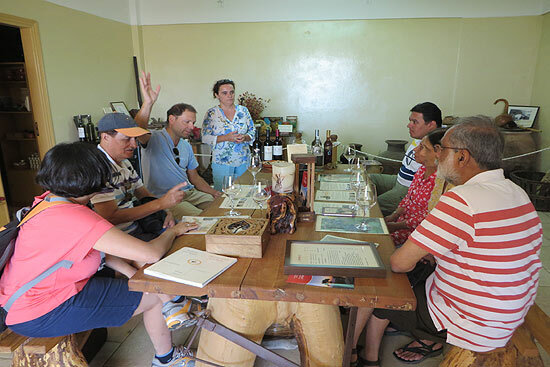 The tour ends in nearby Nas where you can spend some time exploring the beach, lagoon, village and remains from the ancient Temple of Artemis. 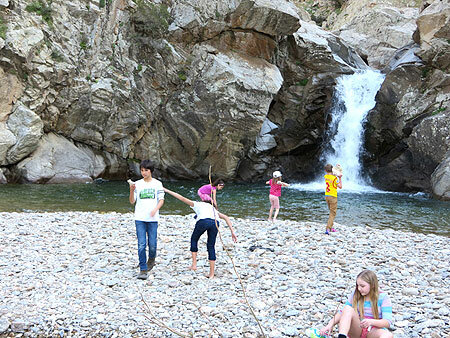 For most experienced guests we also offer river canyoning adventures and visits to more remote waterfalls in the Halaris Canyon. 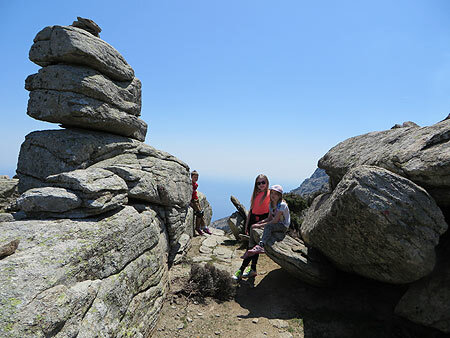 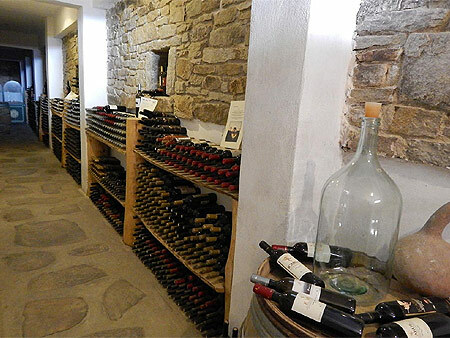 from €83 Including guide, transportation, winery visit/tastings and box/picnic lunch.